Classic adidas Originals silhouettes are given contemporary makeovers for the Never Made pack. Encompassing a wide variety of sneakers from the German brand’s past, the shoes are all elevated with current-day technology, blending futuristic soles with mismatched uppers. Selections include the iconic Boston Super, ZX 930, Rising Star and Marathon, each of which boasts a revamped sole. For instance, the hefty FYW stands tall on a chunky BYW unit, while the Boston Super now runs on a BOOST-lined NMD R1 outer. 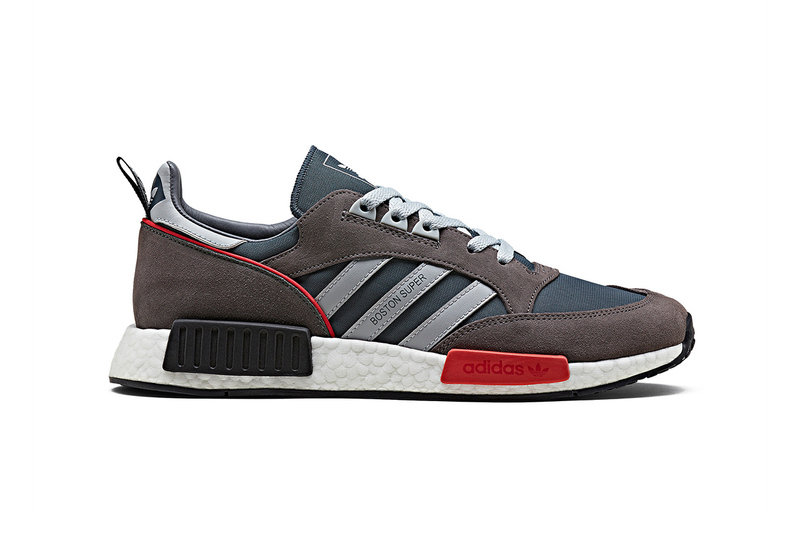 The NMD R1 sole actually appears throughout the pack, bolstering the Micropacer and Rising Star alike. Elsewhere, the I-5923 utilizes a FUTURECRAFT 4D outsole to retain its sleek shape and the Kamanda hosts a Country-shaped upper. The Never Made pack will pre-launch first at HYPEFEST on October 6-7, made exclusively available to event attendees. In addition to the Never Made releases, custom sneaker creators will be producing specially-made adidas styles within the brand’s The Cobbler Shop. On Saturday, customizers Jack the Ripper and adidas Originals designer Molly Pryke will be present, while Sunday will have Jack the Ripper accompanied by JBF Customs creating bespokes at the event. Lastly, adidas Originals will also present its Maker Lab, where attendees can experiment with creating their own Never Made styles and also take advantage of a sketching session to show off their design skills. Visit the adidas Originals website to learn more about the release, and refresh your memory of what else to look forward to with our Hypefest primer. Alongside new large-scale sculptures and paintings. Celebrating freedom, self-expression and youth culture. What Did People Really Think of Hedi Slimane’s First CELINE Collection? Inspired by the designer’s previous work as a gardener and woodworker.